What a long day and it isn't over yet! 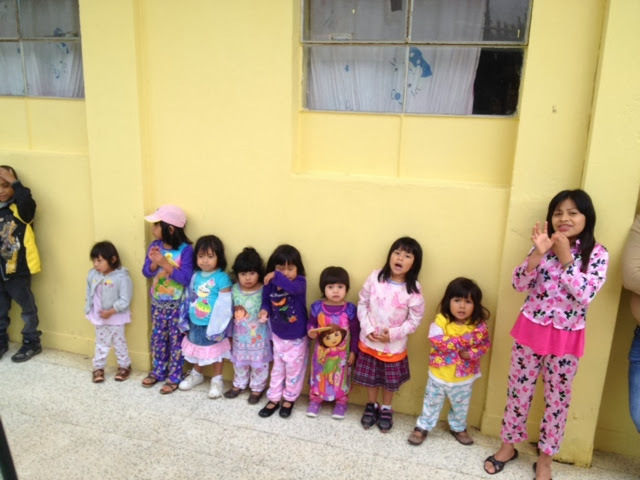 We left the malnutrition center this morning with a lot of tears! The little ones were waving and yelling, "bye"! It is so hard to leave them behind! Jackson had a window seat and we wanted to pull the shade down because the movies was starting. It was crooked and wouldn't pull down. Jackson pushed it up and the entire shade disappeared. Mom to the rescue! I tried putting my fingers in the space behind the molding to find the shade. 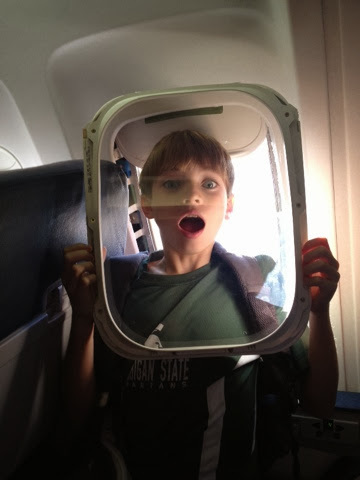 I found the shade, but I ended up with the entire plane window- plexi-glass and all - in my hand! Um oops! The girl across the aisle began to panic seeing I had a window in my hand! She kept saying, "Push the button!! Push the button!" for the flight attendant. She later said that every movie she had seen where the plane window came out meant everyone was going to die! I actually was laughing so hard I had tears in my eyes because all I could think was that of course I would be sitting in a crowded plane and have torn the entire window out!! The good news is that we were able to pull the shade down, I didn't get in trouble for it, and there is more then one layer of plexi-glass over the window!! We are now in Atlanta waiting for our last leg of our trip! Let's hope I control my superhuman strength and everything stays intact! Our plane going out of Atlanta broke down and after sitting in it for a bit and we were all deplaned. I promise it wasn't me :). Plus since it was a wheel problem and not an inside problem it's highly unlikely that I can be blamed!! It is now 10:45 and we should board soon and be home around 1am!! Ugh! At least it's not overnight! !